President Trump answers questions about the summit with North Korea leader Kim Jong Un during a press conference. 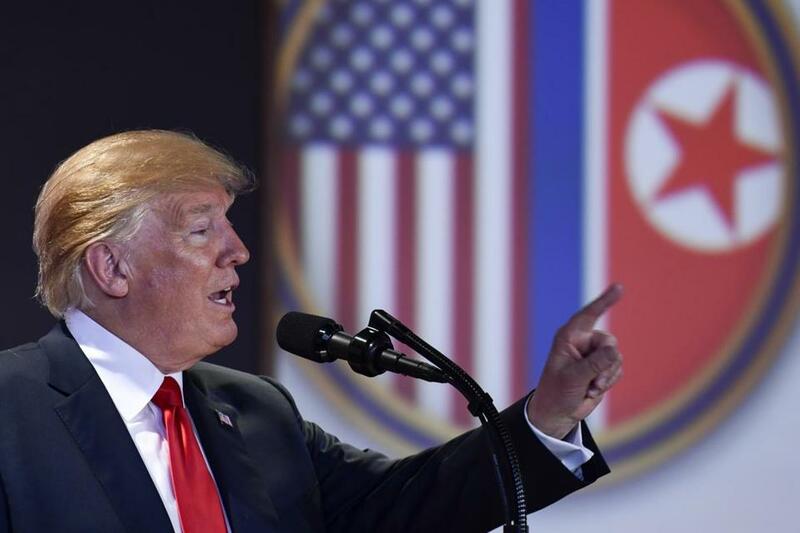 Earlier, President Donald Trump said on Twitter, ‘‘There is no longer a Nuclear Threat from North Korea,’’ as he returns to the United States after his historic summit with North Korea leader Kim Jong Un. The top US diplomat was visiting South Korea on Wednesday. Trump announced during the trip that he would freeze what he called “war games,” joint military exercises with South Korea. 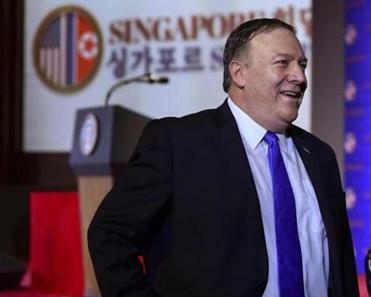 Secretary of State mike Pompeo added a caveat Tuesday that the exercises would resume if North Korea stopped negotiating in good faith. In his Tuesday tweet, Trump said before he took office, ‘‘people were assuming that we were going to War with North Korea,’’ and President Barack Obama said North Korea was the nation’s biggest problem.